Sammy J’s Grill & Bar is a restaurant located throughout Fraser Valley & BC interiors. The restaurant has a both modern and casual atmosphere, and serves a wide variety of food and drinks. 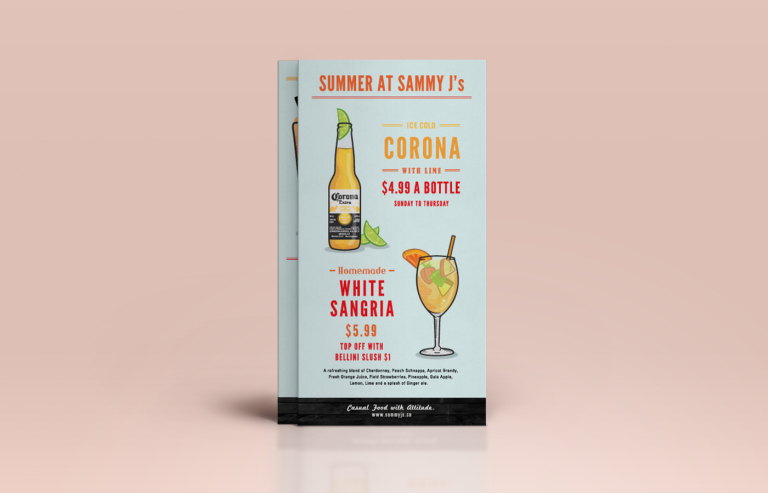 For the summer, Sammy J’s wanted to feature the Somersby cider, Corona Extra, Somerlini cocktail and White Sangria on their table drink card. 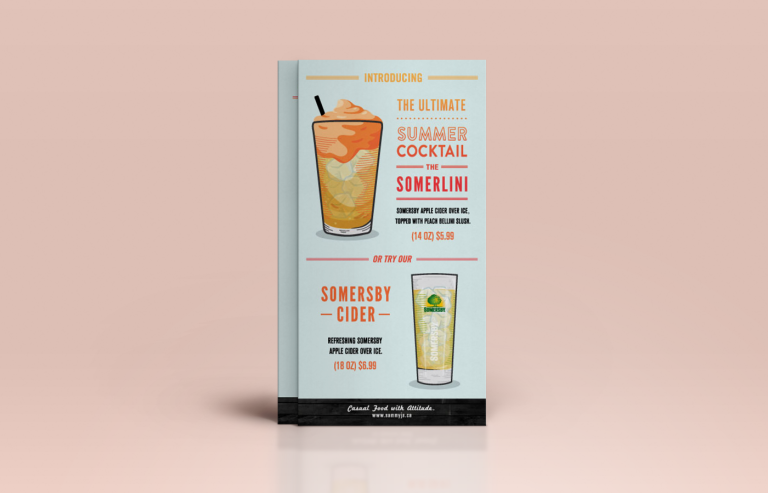 For the design of the drink cards, new illustrations were created for the Somersby Cider, Corona Extra, and Somerlini cocktail drawn in the same illustration style as their existing White Sangria. 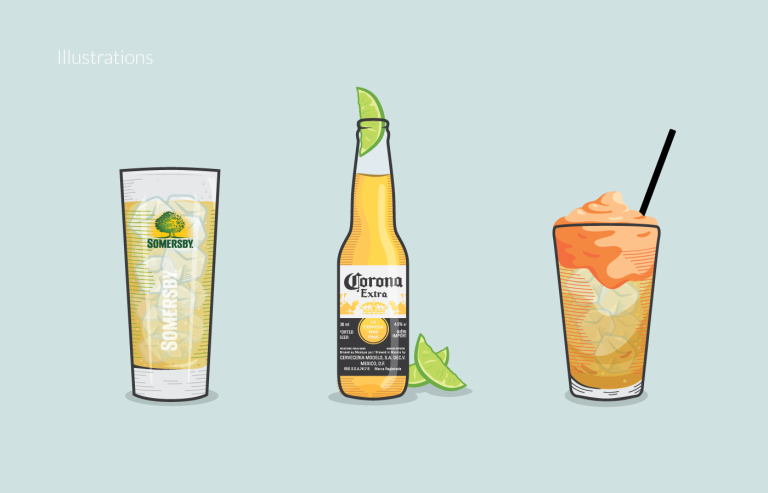 The White Sangria illustration was previously created by Dylan Rekert. Summer colors were paired with Sammy J’s existing branding to give the cards a nice refreshing look.